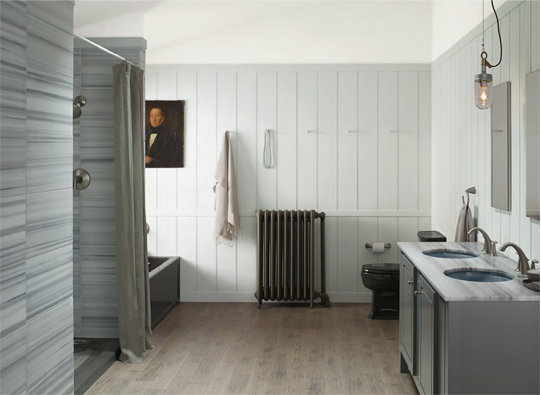 When you invest time and energy into choosing a new bathroom, the last thing you want to do is compromise on the wall colour. And yet, traditionally bathroom paints offer only a handful of colours. 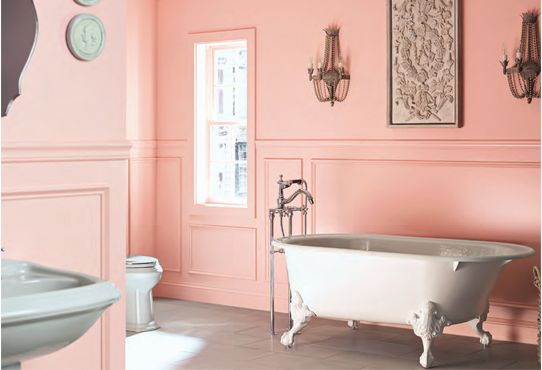 Aura Bath and Spa changes all that - available in all 3,500 gorgeous Benjamin Moore colours, Aura Bath and Spa also comes in a contemporary matte finish, so you can achieve the most stylish look without compromising on humidity and mould resistance. Of course, being part of the Aura family means Aura Bath and Spa is a water-based paint that offers extreme hide, outstanding colour durability, minimal odour and a long-lasting beautiful finish. 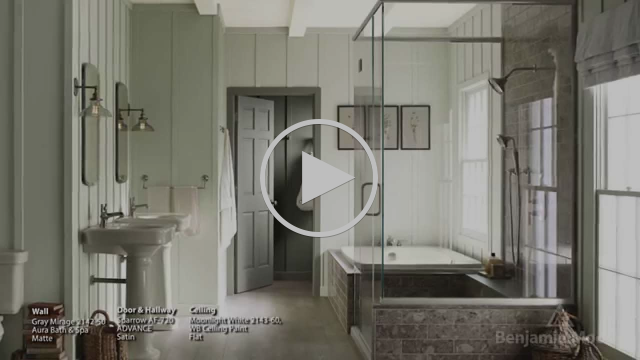 Candice Olson and Sharon Grech share tips on creating your dream bathroom. 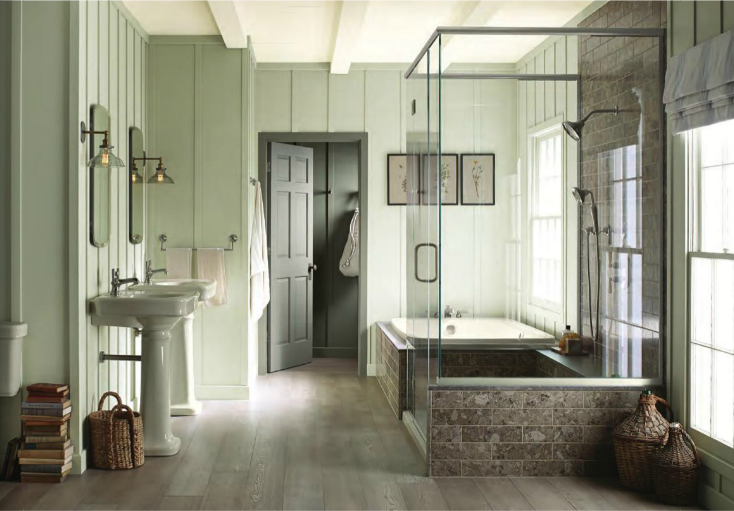 Learn why they recommend Aura Bath and Spa paint for high humidity areas. 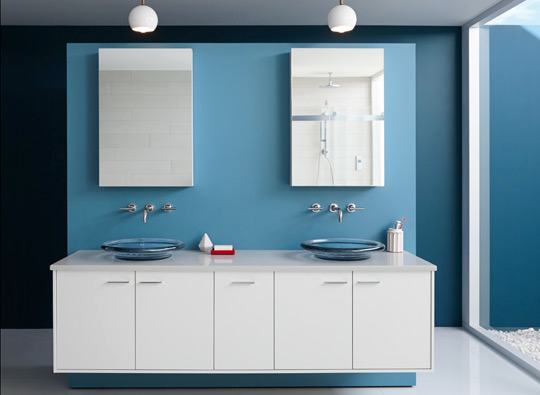 Interior design expert Candice Olson discusses how the materials in your bathroom set the stage for colour selection, and guides you to the right paint colour for your walls.